I would REALLY REALLY Appreciate if you could upload a torrent of the entire English Wikipedia with images. Hi tydeus23, thanks for your suggestion. For the archive of the English Wikipedia with pictures available as a torrent, we don’t want to make it, because we fear to overload our torrent server. Hi, same problem here. “overload our torrent server”? I don’t think that more files in seed will overload a server, at least you can put in torrent only wikipedia.en + images that is the biggest pack. And the resume download function is pretty easy for a software, you can implement it in an hour. I think those problem must have the frist priorities, as like for the content upgrade. hello to wikiwix and linterweb lovers! 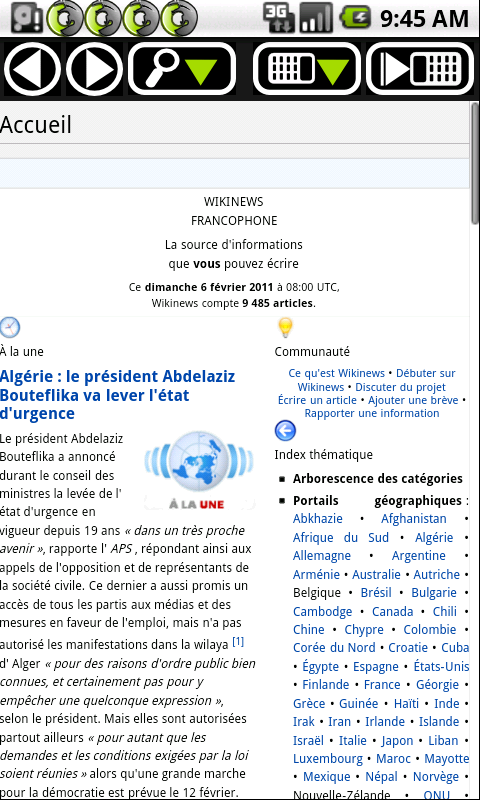 the offline Wikipedia reader really is very nice project. thank you very much for working on this kind of project. i want to ask how can i solve this problem. my android phone is Motorola milestone xt720. BTW sorry for my bad English. Hi guys! Any news about this problem? Let’s discharge the 30GB torrent idea. You can also split the 30GB pack in 30 parts (at least only for the english+images pack) of 1GB each one, upload them to a server and allow the direct download (that’s is really easy and possible). The resume function is obviously the best implemet for solve this issue (is not i big deal, like this http://www.planetsourcecode.com/vb/scripts/ShowCode.asp?txtCodeId=10403&lngWId=1). Anyway, when (AND IF) i successfully download the 30GB pack i will split it and upload to some host and share it with the world…just easy as that: split, upload and share! Is there anyway to download the full english version outside of the app, then move it to the SD card? I tried to do it but couldn’t transfer a file that was over 4gb in size as the SD card maxes out at 4gb files.